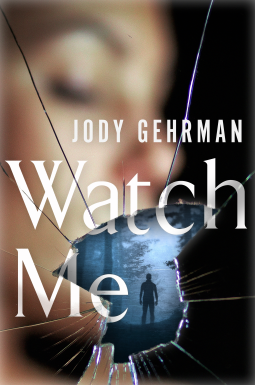 Jody Gehrman walks readers through a story of obsession and desire. Watch Me follows young, brilliant writing student Sam Grist as he shares his observations of his teacher, Kate Youngblood. Kate is oblivious of Sam's obsessive stalking so when he shows up randomly and focuses all his attention on her, she's caught between doing the right thing or giving into temptation. It's interesting how the story not only reflects both Kate and Sam's point of views, but Sam's point of view is written as though he's speaking to Kate instead of readers. It gives the story that much more of a creepy, thrilling sensation. I though the story was just fine. While everything is falling away from Kate, she kind of let it shatter around her. I didn't think she was a compelling or redeeming character. I can't recall one thing she did to help herself. In fact, the weird guy following her around was much more interesting because I wanted to know what motivated him and what took him over the edge. I enjoyed reading Watch Me, but by the end I was just ready to move on to the next read.